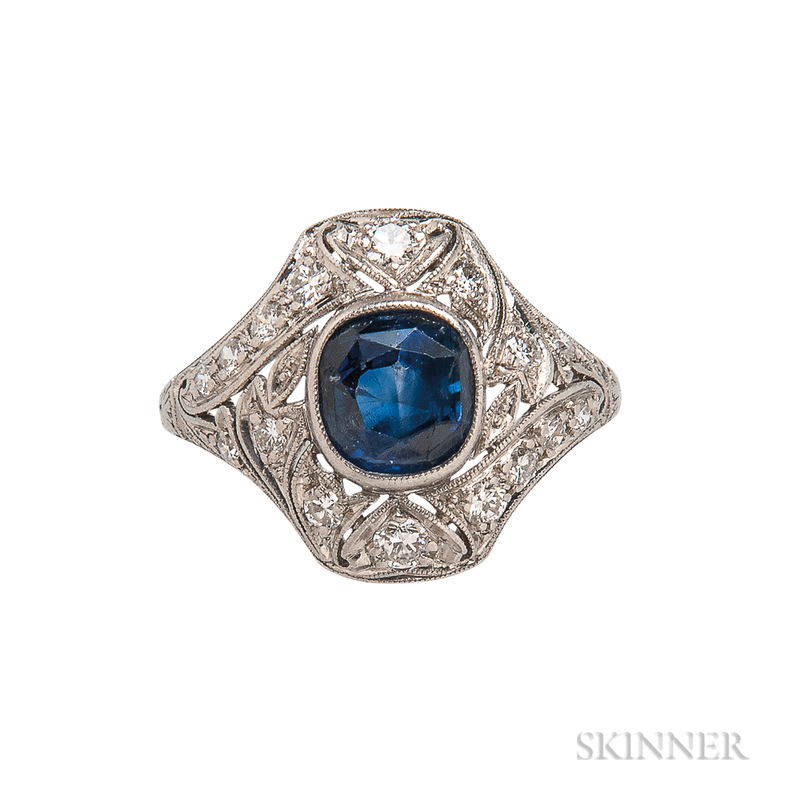 Art Deco Platinum, Sapphire, and Diamond Ring, bezel-set with a cushion-cut sapphire measuring approx. 6.50 x 6.00 x 5.00 mm, with diamond melee, in a scrolling mount with millegrain and engraved accents, size 5 1/4. Loupe visible abrasions to sapphire. Light surface wear commensurate with age.